Three years ago--how has it been that long already?--I filmed my "Curl Your Hair Without Heat" video. Thanks to a shout-out by Ashton Kutcher, that video went viral (for like a week--not like news-breaking viral) and I enjoyed three-seconds of pseudo-YouTube-fame. Fast forward three years and after many haircuts, modifications, tips, tricks and hairstyles later, I bring you a new-and-improved version of the infamous "Friar Tuck." (If you remember, that's what my husband calls it because it's so incredibly flattering... ha!). All jokes aside, this super-easy hairstyle gets the job done and gets me out the door with all-day bouncy, beachy curls. Watch the video & try it for yourself! My hair is fine and holds curl well. Your hair MUST be completely dry. 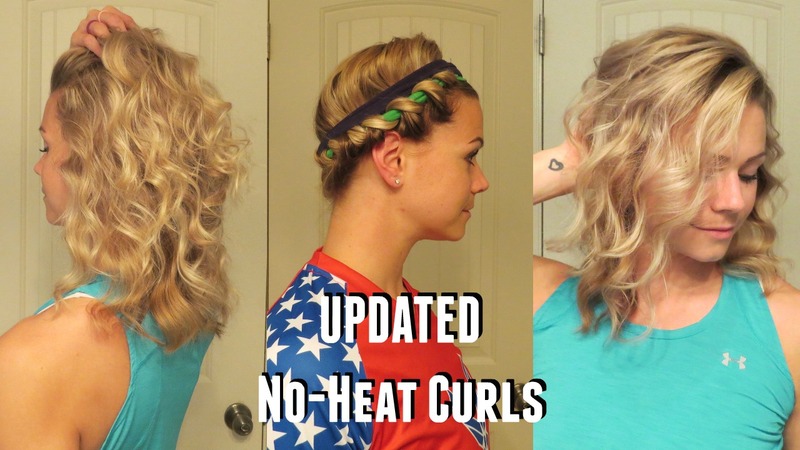 If you do this style for overnight curls, try wrapping a silk scarf on your head so it doesn't fall out. / / Like this video? Subscribe to my channel on YouTube! If you try the Friar Tuck, tweet or instagram me a photo with the hashtag #auniefriartuck.